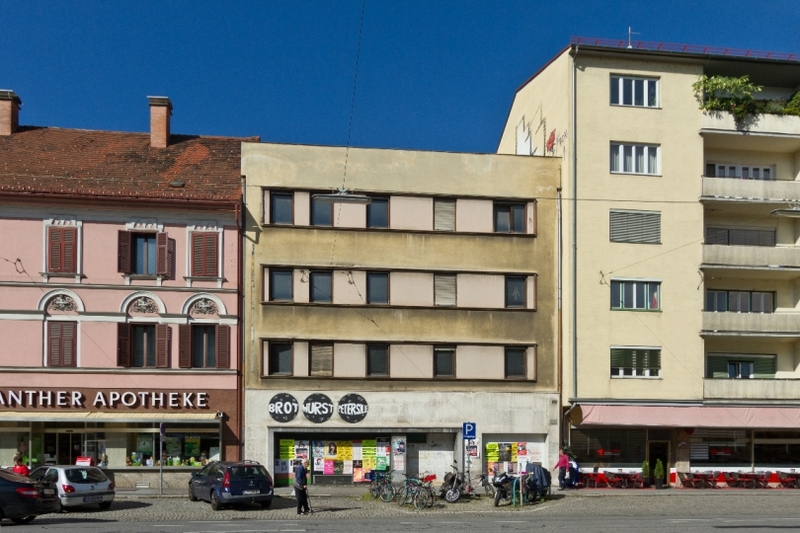 10 murals in public space, city of Graz, Austria. July - October 2013. 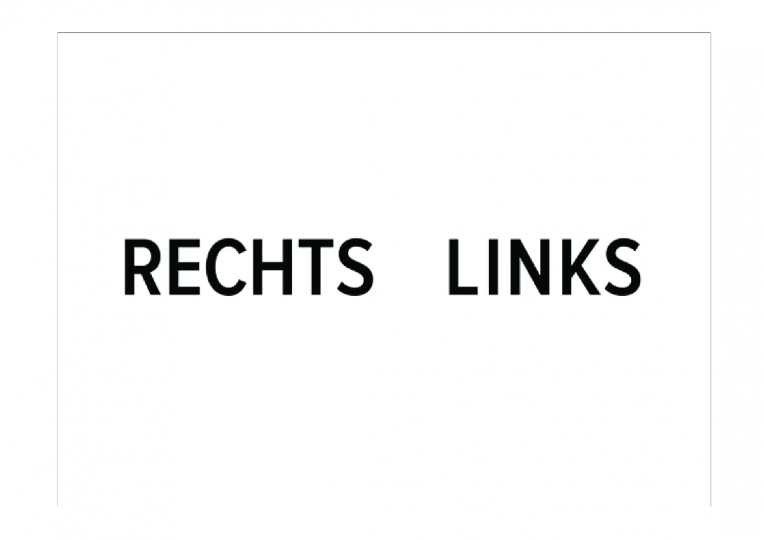 In cooperation with the Institut für Kunst im öffentlichen Raum Steiermark. 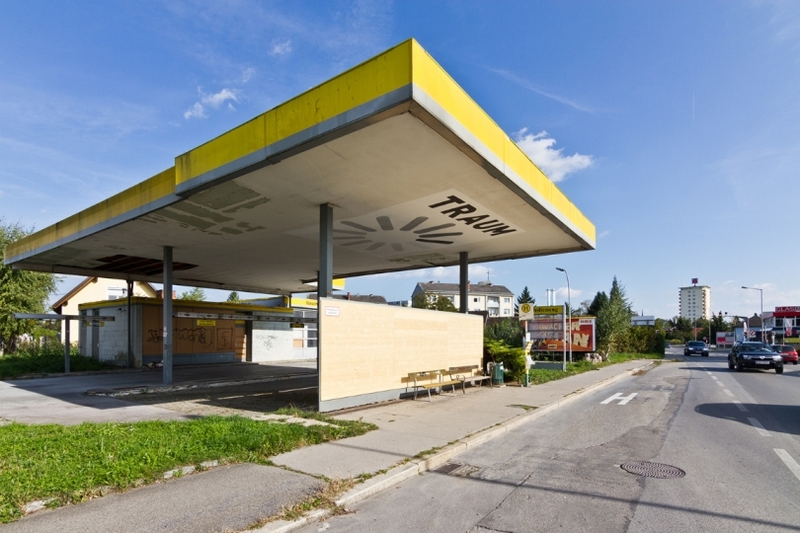 Deserted petrol stations, vacant shops, empty lots, dumped cars, waste land: urban transition zones in a state of “no more” and “not yet” can be found in every city the world over, all similar in typology. Their indefinite stage of development is indicated by rank vegetation, crumbling façades, piles of rubble, and rubbish. Nature takes over technical infrastructure, clear-cut functions are obscured by apparent uselessness, nonhuman actors dominate human forms of appropriation. Often, these transition zones are situated in commercially low-rated districts with a poor image – in places where investments are no longer or not yet worthwhile, where owners and urban developers see no urgent need for action, look away or simply bide their time. Borrowing Arjun Appadurai’s concept of “scapes” as the main figure for describing our globally networked space-time continuum, we may refer to such transition zones as urban transcapes: as urban landscapes that, while being locally positioned, equally elude such localisation, refusing to be unambiguously identified, and remaining both socially and economically undefined. If the city in the traditional European sense is a narrative space, informed by history and stories, culturally clearly coded and socially determined, urban transition zones are characterised by disintegration and functional refusal. Within the urban sign system, dominated as it is by sights, advertising icons, architectural landmarks, and other functioning inscriptions of space, transcapes remain open to interpretation. They neither promote the urban image, that has to be planned, designed and commodified as an ideological instrument of control, nor do they superficially serve a particular purpose, for example society, commerce or simply the human being. In urban transition zones, the “work of purification” – that is for Bruno Latour formative in the development of modern societies and thus modern cities – stands still. The neat division of urban space into clear-cut functional zones gives way to the formation of “hybrid networks” in which nonhuman beings become actors and the boundaries between urban infrastructure/nature, architecture/humans, object/subject are renegotiated. 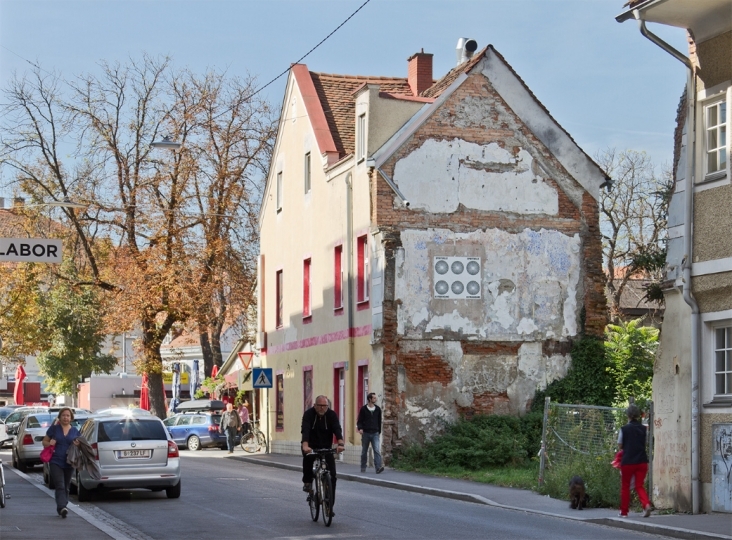 “Cracks in the urban fabric” and “blanks”, that are not well defined by architecture or advertising and thus open up open creative space, is the term which the artist Bernhard Wolf gives to those urban transition zones which he sets out to find in Graz and other cities. His latest series of works, “In alle Netze” (Into all networks), proves to be the consistent continuation and resumption of interventions in urban space between Moscow and Graz, Frohnleiten and Maribor since the early 1990s. While these partly poetic, associative and partly tongue-in-cheek, but always ambiguous text/image comments on the sign systems of public space are also found at central meeting-places (e.g. 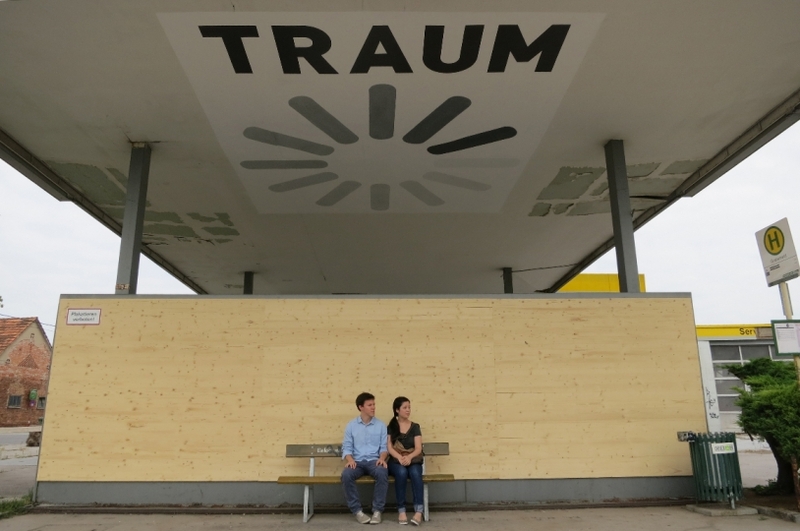 by the opera house, in pedestrian zones, in market-squares), even in these places Bernhard Wolf makes use of ephemeral sites such as hoardings or infrastructure already adapted by others for advertising purposes, for example site fences, lampposts, electricity boxes or phone boxes. Many of these old posters were pasted anonymously or as communicative space practice without any solicitation or official legitimation in the art sphere. His activities, among others with the FOND artist group, thus consisted above all in temporarily reactivating vacant buildings which – like the “Postgarage” in Graz – are still popular venues today; an abandoned car wreck, wallpapered and covered with posters, served as a contribution to the FOND exhibition “Schleuse” and was thus exposed to the watchful eye of urban surveillance, soon to be removed; and finally, Bernhard Wolf himself has since recently been working in a once vacant shop in Griesplatz in Graz, a district which, while close to the centre, if rather lacking in prestige, has already been targeted for future urban development. “Urban pioneers” is the name given in the gentrification discourse to those social actors who temporarily make use of urban transition spaces as squatters or temporary tenants, injecting social and symbolic capital into low-image areas with their creative space practices. 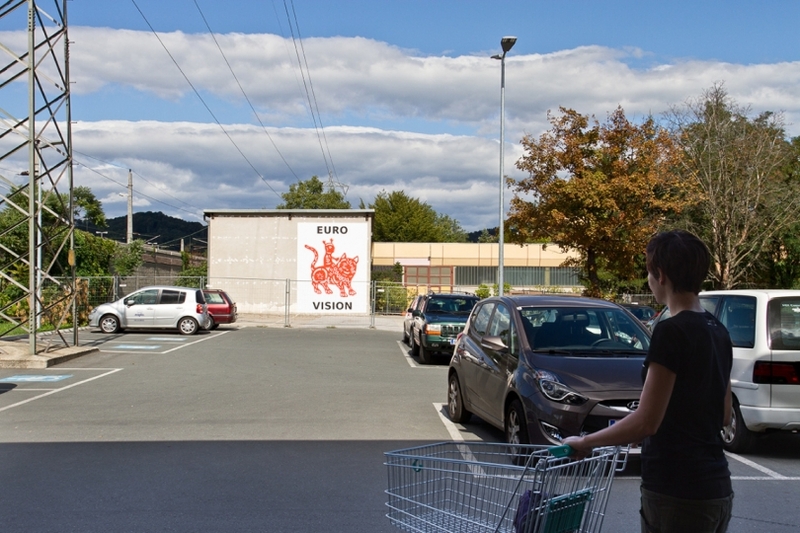 Be it urban transition spaces or city centres of culture and commerce: when Bernhard Wolf inserts his iconic signs and text messages into public space, he does so with simple means of low-key design. Most of the subjects are black on white ground and dimensioned in accordance with the international standard sizes of sheets of paper and hoardings. 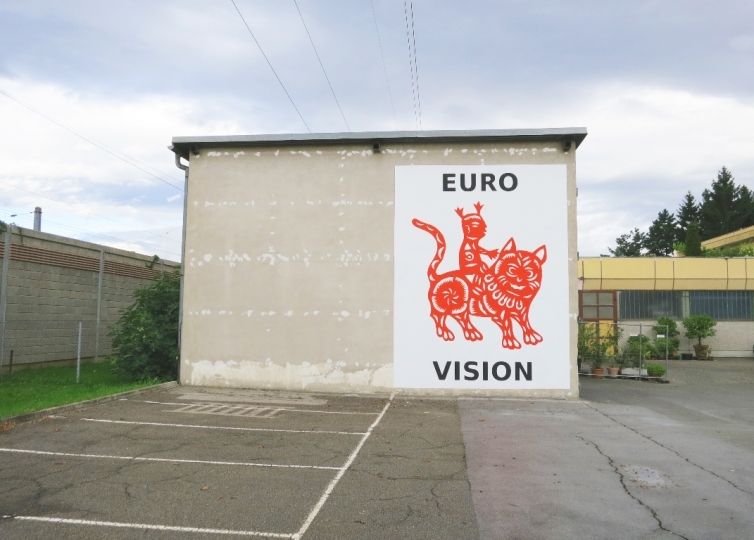 Other recurrent principles which make reference to the manipulative technologies of the marketing industry are seriality, the combination of a powerful image and a terse slogan, and their conspicuous application on vertical surfaces in urban areas. Like their commercial rivals in the fight for public attention, Bernhard Wolf’s utterances only become complete when combined with people’s internal image worlds. Every social actor is visually and linguistically habituated, can read certain codes based on his socialisation, while others are undecipherable. 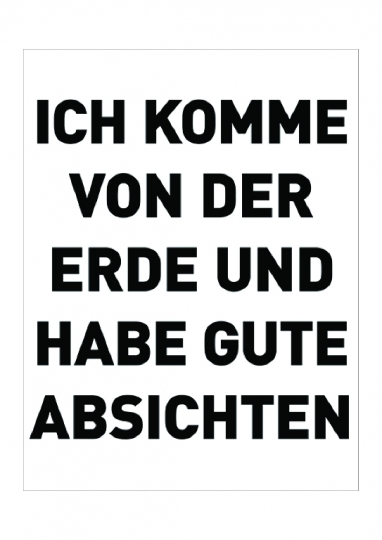 To begin with, one must, at a very fundamental level, have German reading skills in order to decipher textual signs. 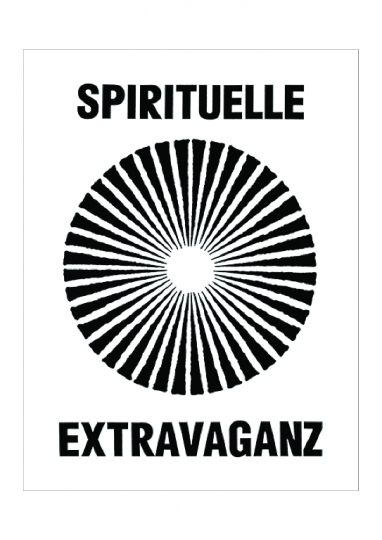 In Bernhard Wolf’s latest piece, “In alle Netze” (Into all networks), these are, for example, the terms “time”, “spiritual extravagance”, “dream”, “bread, sausage, parsley”, “right, left” or “power plant”. 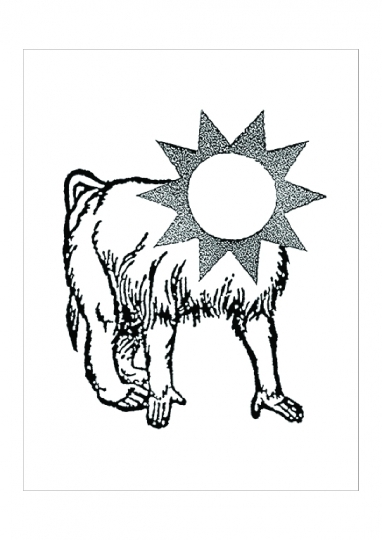 In the “Mythos 2000” series, which was applied to a hoarding outside Graz opera house during the 1995 steirischer herbst festival, it was words from the semantic universe of “Austrian mythology”, for example “Heinz Conrads, Dalai Lama”, “Cordoba 1978” or “The German in me”. Anonymous posters from the 1990s, for instance, sported the words “charlatan”, “Olympic Gold” or “attack”. Also on the premise that the texts can be read as denotations, the connotation will be different depending on the reader’s cultural and social positioning, contingent on what lies stored in their mental reservoirs. Some terms are more deeply rooted in culture and society (e.g. “Cordoba 1978”, Amanda Klachl or Heinz Conrads), and others, while evoking different individual associations, do not necessarily refer to specific contents of collective memory – such as “bread, sausage, parsley”, “time” or “power plant”. This intrinsic ambiguity of words contrasts with an even more universal polysemy of iconic signs. Not everyone sees images in the same way. Once again, to speak in Hans Belting’s (2005) terms of image anthropology, it is the “internal images” which complete the “external images […] in the act of sensory perception” and thus put the human being at the centre of a process of aesthetic production and reception as a “locus of images”. Every person decodes images in keeping with his habitus, following different associative impulses informed by culture and society. Someone with a knowledge of art history, for example, will discover in Bernhard Wolf’s iconic repertoire similarities to works of op-art, pop art, art informel or conceptual art. Someone familiar with the icons from the world of Austrian consumption and media or the icons of virtual worlds will associate common properties with them. 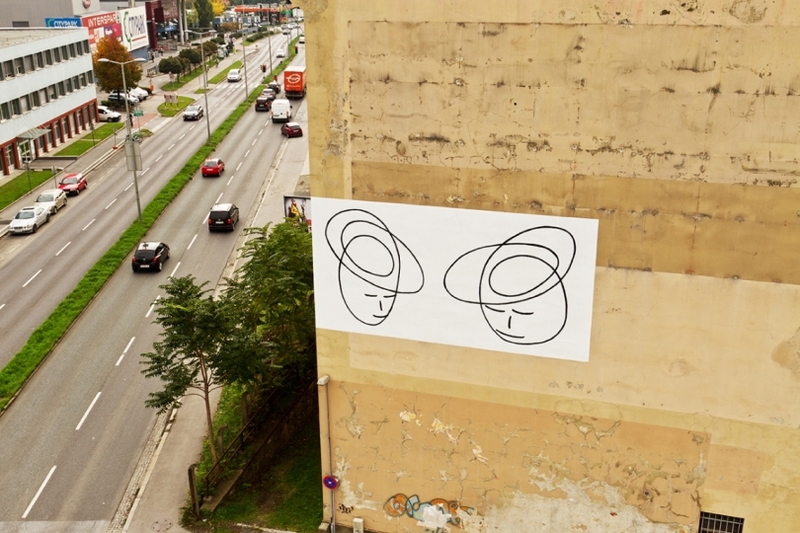 While traditional advertising reacts specifically to this relativity of image perception by emphasising the positive characteristics of a consumer item at different levels of iconic and verbal signs, Bernhard Wolf’s inscriptions in urban space seek neither to fetishise nor manipulate. Instead, they aim to “strew barbs” so as to break with viewing habits: “Nothing is sold, nothing is announced, they cannot be consumed en passant.” (Bernhard Wolf) For example, when he paints large dark, concentrically shimmering circles on a white ground on the exposed brick wall of a vacant lot in the “In alle Netze” series, adding the caption “TIME”, Bernhard Wolf stages an icon with a verbal comment which clearly refuses to fulfil the function of iconic manipulation: a quasi-icon that neither plays with the yearnings of potential consumers, nor issues clear commands (Believe! Buy! Consume!) or relies on cult and general validity, but rather perplexes as a result of its ambiguity and engages in hybrid cross-links in different directions. 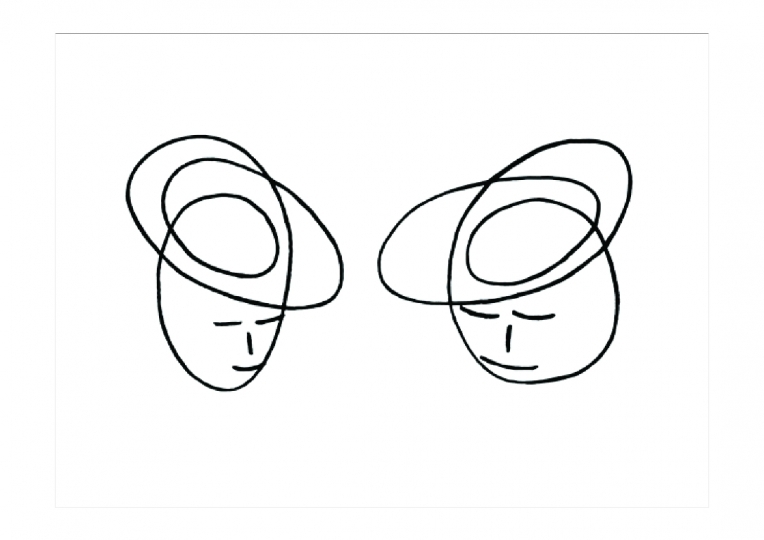 According to Bruno Latour, the concept of the quasi-object describes neither object nor subject, but rather their “intimate fusion in which the traces of the two components are effaced” (Latour 1997: 73). Quasi-objects are actors endowed with the potential to act that associate with other human and nonhuman beings to form hybrid networks. They are not statically rooted in a sphere of society but rather circulate between different symbolic orders, ever seeking new connections and contacts. These translations into other spheres give rise to “drifts”, as they are known, along with the inherent shifts of meaning. Seen through the Latourian spectacles of the quasi-object, Bernhard Wolf’s artistic interventions in urban transition zones can also be seen and understood better. It is not pure, complete-static “white cubes” in which his images are to be viewed. Instead, they occupy impure, dynamic-open sites in urban space, where plaster crumbles (vacant lots), nature and time are the main actors (condemned houses), and where one would not necessarily expect to find art (hoardings). At the same time, it seems as if it is not an ingenious artist subject who is speaking to us, through the coherent semantic entity of his artistic object, but rather the things themselves, tangled up in multidimensional connections. The condemned house with its flaky layers of paint is just as much an agent of artistic expression as the “natural” surroundings of the ghetto palms, the traffic infrastructure of busy roads or the architectural neighbourhood of official sights. Precisely because of the emancipated position of material and atmospheric spatial qualities, the location of viewing plays an integral role in the course of the reception process. Not only the view of the subject, but also the subject’s view of its urban setting is part of the space of interaction which opens up. “TIME” with its shimmering concentric circles looks the wrong way up a one-way street, past waste land and a vacant grocer’s shop, onto the urban development zone of Griesplatz. There, the installation “Bread, sausage, parsley” above an unused shop window looks straight onto the studio room opposite, temporarily occupied by Bernhard Wolf. Time will tell for how long, because consciously making use of transcapes implies acknowledging and encouraging the ephemeral as a fundamental conceptual principle. Verlassene Tankstellen, leer stehende Läden, Baulücken, Autoleichen, Brachland: Urbane Übergangszonen in einem Zustand des Nicht-Mehr und Noch-Nicht finden sich in jeder Stadt, weltweit, von ähnlicher Typologie. Ihr vages Stadium wird angezeigt durch wild wuchernde Pflanzen, bröckelnde Fassaden, Schutthaufen und Müll. Natur bemächtigt sich technischer Infrastruktur, klare Funktionen werden von scheinbarer Nutzlosigkeit überlagert, nicht-menschliche Akteure dominieren menschliche Aneignungsformen. Oft liegen diese Übergangszonen in ökonomisch gering bewerteten, imageschwachen Stadtteilen – dort, wo sich Investitionen nicht mehr oder noch nicht lohnen, wo Eigentümer wie Stadtentwickler keinen akuten Handlungsbedarf sehen, wegschauen oder einfach abwarten. In Anlehnung an Arjun Appadurais Konzept der „Scapes“ als wesentlicher Figur zur Beschreibung unseres global vernetzten Raum-Zeit-Kontinuums lassen sich derartige Übergangsräume als urbane Transcapes bezeichnen: als städtische Landschaften, die zwar lokal verortet sind, sich aber gleichzeitig ihrer Lokalisierung entziehen, einer eindeutigen Identifikation verweigern und sozial wie ökonomisch undefiniert bleiben. 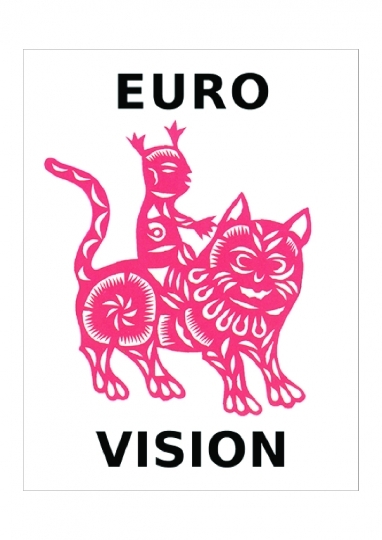 Ist Stadt in traditionell europäischem Verständnis ein narrativer Raum, geprägt von Geschichte und Geschichten, kulturell klar codiert und sozial determiniert, so zeichnen sich urbane Übergangszonen durch Desintegration und funktionelle Verweigerung aus. 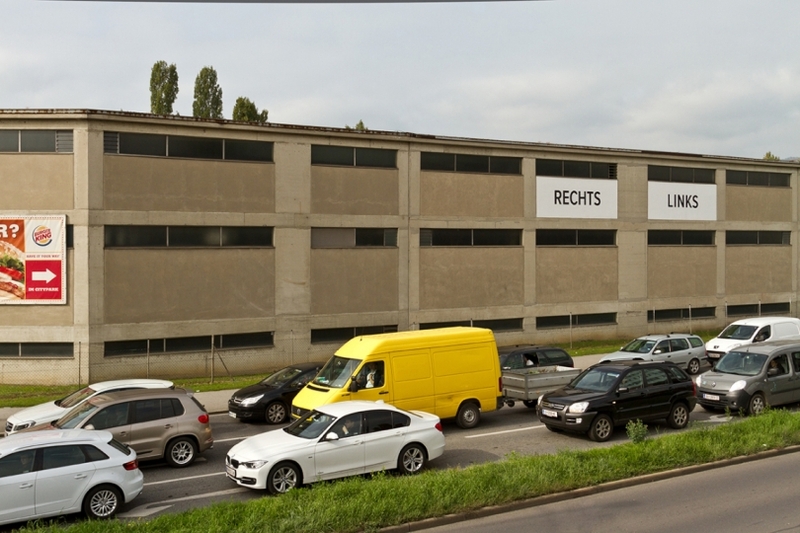 Im städtischen Zeichensystem, dominiert von Sehenswürdigkeiten, Werbeikonen, architektonischen Landmarks und anderen funktionstüchtigen Raumeinschreibungen, bleiben Transcapes bedeutungsoffen. Sie fördern weder das städtische Image, das als ideologisches Steuerungsinstrument geplant, gestaltet und warenförmig zu sein hat, noch dienen sie vordergründig irgendeiner Sache, wie dem Sozialen, der Wirtschaft oder einfach nur dem Menschen. In urbanen Übergangsräumen steht die „Reinigungsarbeit“, die mit Bruno Latour prägend für die Ausbildung moderner Gesellschaften und somit auch moderner Städte ist, still. Die feinsäuberliche Trennung des Stadtraums in klar definierte Funktionszonen weicht der Ausbildung „hybrider Netzwerke“, in denen nicht-menschliche Wesen zu Akteuren und die Grenzen zwischen urbaner Infrastruktur/Natur, Architektur/Mensch, Objekt/Subjekt neu ausgehandelt werden. 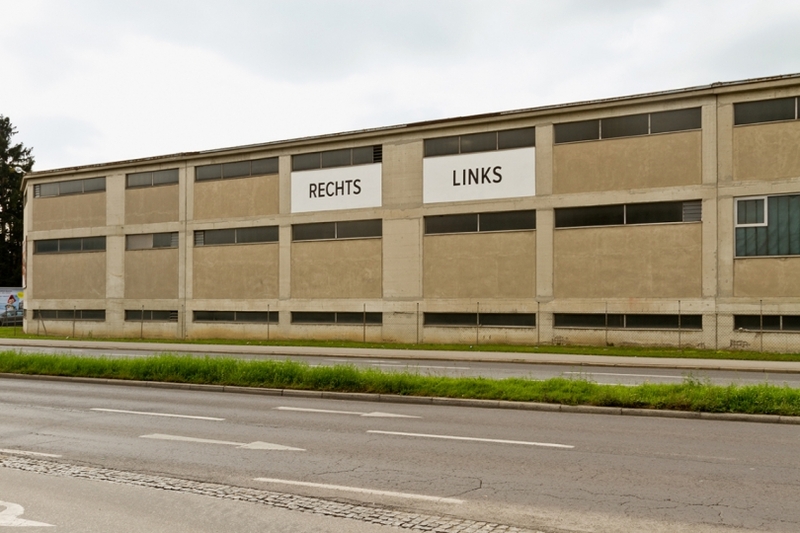 Als „Risse im Stadtgefüge“ und „Leerstellen“, die nicht von Architektur oder Werbung ausdefiniert sind und somit schöpferischen Freiraum eröffnen, bezeichnet und sucht der Künstler Bernhard Wolf urbane Übergangszonen in Graz und anderen Städten. Seine jüngste Werkserie „In alle Netze“ erweist sich als konsequente Weiterführung und Wiederaufnahme stadträumlicher Interventionen zwischen Moskau und Graz, Frohnleiten und Maribor seit den frühen 1990er Jahren. 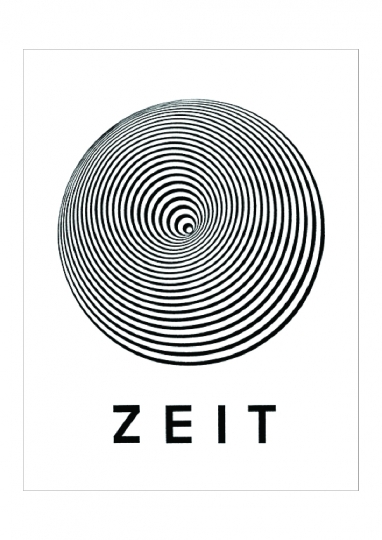 Die teils poetisch-assoziativen, teils ironischen, stets vieldeutig lesbaren Text/Bild-Kommentare zu den Zeichensystemen des öffentlichen Raums finden sich zwar auch an zentralen Treffpunkten (zb. nahe der Oper, in Fußgängerzonen, auf Marktplätzen), doch auch dort bespielt Bernhard Wolf ephemere Orte wie Plakatwände oder bereits von anderen Akteuren als Werbeträger adaptierte Infrastrukturen wie Bauzäune, Laternenmasten, Stromkästen oder Telefonzellen. 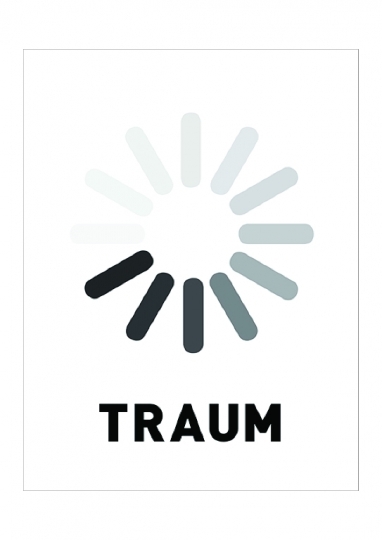 Viele dieser frühen Plakatierungen erfolgten anonym oder als kommunikative Raumpraxis ohne Auftrag bzw. offizielle Legitimation im künstlerischen Feld. So wurden vor allem im Rahmen seiner Aktivitäten unter anderem mit der Künstlergruppe FOND leerstehende Gebäude temporär reaktiviert, die – wie die Grazer Postgarage – teils heute noch gefragte Veranstaltungsorte sind; ein abgestelltes Autowrack gerierte, tapeziert und plakatiert, zum Beitrag für die FOND-Ausstellung „Schleuse“, wurde so dem Blick städtischer Raumkontrolle ausgesetzt und dem baldigen Abtransport übergeben; und schließlich arbeitet Bernhard Wolf selbst seit kurzem in einem einst leerstehenden Geschäftslokal am Grazer Griesplatz, der zentrumsnah, aber wenig prestigeträchtig bereits im Fokus künftiger Stadtentwicklung steht. 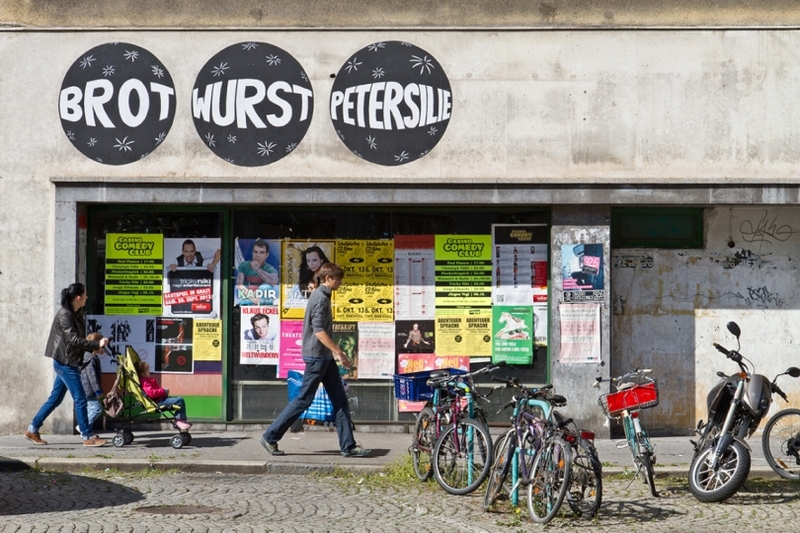 „Urbane Pioniere“ heißen im Gentrifizierungsdiskurs jene sozialen Akteure, die als Squatter oder Zwischennutzer städtische Übergangsräume temporär bespielen und mit ihren kreativen Raumpraktiken soziales wie symbolisches Kapital in imageschwache Areale einspeisen. Ob urbane Übergangszonen oder städtische Zentren von Kultur und Kommerz: Wenn Bernhard Wolf seine ikonischen Zeichen und Textbotschaften in den öffentlichen Raum einspeist, so tut er das mit einfachen Mitteln in reduzierter Formgebung. Die meisten Sujets sind schwarz auf weißem Grund und nach den internationalen Standardmaßen von Papierbögen bzw. Plakatwänden dimensioniert. Weitere wiederkehrende Prinzipien mit Referenz auf die Manipulationstechnologien der Marketingindustrie sind Serialität, die Kombination eines eindringlichen Bildes mit einem knappen Slogan sowie deren gut sichtbare Applikation auf vertikalen Flächen in städtischen Arealen. Wie ihre kommerziellen Mitspieler im Ringen um öffentliche Aufmerksamkeit vervollständigen sich auch Bernhard Wolfs Äußerungen erst durch ihre Überlagerung mit den inneren Bildwelten der Menschen. Jeder soziale Akteur ist visuell und sprachlich habitualisiert, kann entsprechend seiner Sozialisierung bestimmte Codes lesen, während andere nicht dechiffrierbar sind. Man muss, zunächst ganz grundsätzlich, über Lesekompetenz in deutscher Sprache verfügen, um Textzeichen entschlüsseln zu können. 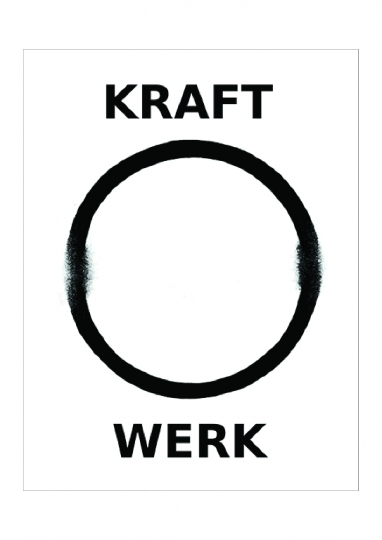 In Bernhard Wolfs jüngster Arbeit „In alle Netze“ sind das etwa die Begriffe „Zeit“, „Spirituelle Extravaganz“, „Traum“, „Brot, Wurst, Petersilie“, „rechts, links“ oder „Kraftwerk“. In der Serie „Mythos 2000“, die anlässlich des steirischen herbst 1995 auf einer Plakatwand vor der Grazer Oper appliziert wurde, waren es Worte im Bedeutungskosmos einer „österreichischen Mythologie“ wie etwa „Heinz Conrads, Dalai Lama“, „Cordoba 1978“ oder „Das Deutsche in mir“. Und auf anonymen Plakatierungen der 1990er hieß es etwa „Scharlatan“, „Olympisches Gold“ oder „Attacke“. Auch unter der Voraussetzung, dass die Texte denotativ erfasst werden können, wird das Konnotat je nach kultureller und sozialer Positionierung der Leser_innen ein anderes sein, abhängig davon, was in deren mentalen Reservoirs gespeichert liegt. Dabei gibt es Begriffe, die stärker kulturell und sozial verankert sind (wie etwa „Cordoba 1978“ , Amanda Klachl oder Heinz Conrads), und andere, die zwar individuell verschiedene Assoziationen aufrufen, aber nicht notwendigerweise auf spezifische Inhalte eines kollektiven Gedächtnisses verweisen – wie „Brot, Wurst, Petersilie“, „Zeit“ oder „Kraftwerk“. Dieser prinzipiellen Uneindeutigkeit von Worten steht eine noch umfassendere Polysemie ikonischer Zeichen gegenüber. Nicht alle sehen alle Bilder gleich. 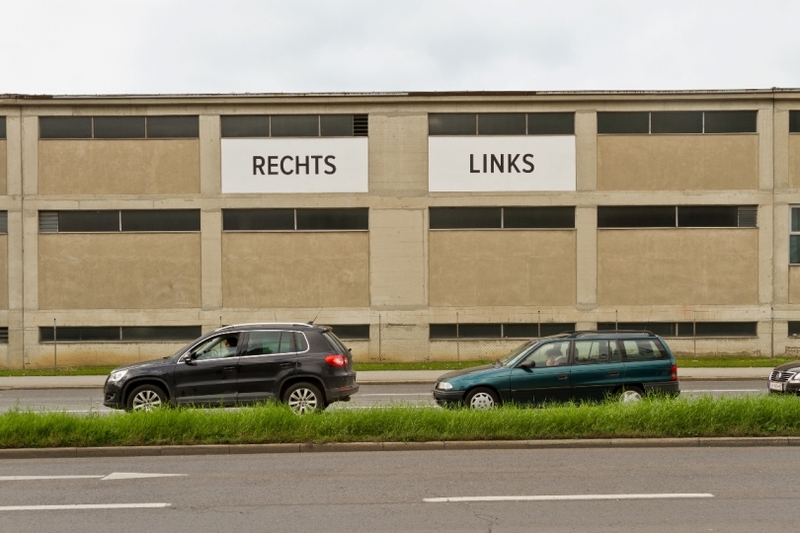 Wieder sind es, um hier in Hans Beltings (2005) bildanthropologischer Terminologie zu sprechen, die „inneren Bilder“, die im „Akt der sinnlichen Wahrnehmung“ die „äußeren Bilder“ vervollständigen und somit den Menschen als „Ort der Bilder“ ins Zentrum eines ästhetischen Produktions- und Rezeptionsprozesses stellen. Jede/r decodiert Bilder seinem Habitus entsprechend, folgt unterschiedlichen, kulturell wie sozial geprägten Assoziationsimpulsen. Wer etwa über kunsthistorische Kenntnisse verfügt, findet in Bernhard Wolfs ikonischem Repertoire Ähnlichkeiten mit Werken aus Op-Art, Pop-Art, Informel oder Konzept-Kunst. Wem die Ikonen der österreichischen Konsum- und Medienwelt oder die Icons virtueller Welten vertraut sind, vermag gemeinsame Eigenschaften mit diesen zu assoziieren. Während klassische Reklame auf diese Relativität der Bildwahrnehmung gezielt reagiert, indem die positiven Merkmale eines Konsumgutes auf unterschiedlichen ikonischen und verbalen Zeichenebenen hervorgehoben werden, wollen Bernhard Wolfs Einschreibungen in den Stadtraum weder fetischisieren noch manipulieren. Vielmehr wollen sie „Widerhaken streuen“, um Sehgewohnheiten zu brechen: „Nichts wird verkauft, nichts wird angekündigt, sie sind nicht im Vorbeigehen konsumierbar.“ (Bernhard Wolf) Wenn etwa in der Serie „In alle Netze“ an die freigelegte Ziegelwand einer Baulücke großformatig dunkle, konzentrisch flirrende Kreise auf weißen Grund gemalt und mit dem Begriff „ZEIT“ untertitelt werden, so inszeniert Bernhard Wolf ein Ikon mit verbalem Kommentar, das die Funktion ikonischer Manipulation klar verweigert: Eine Quasi-Ikone, die weder mit den Sehnsüchten potentieller Konsument_innen spielt, noch klare Befehle erteilt (Glaube! Kaufe! Konsumiere!) oder auf Kult und allgemeine Gültigkeit setzt, sondern in ihrer Uneindeutigkeit irritiert und hybride Vernetzungen in verschiedene Richtungen eingeht. Nach Bruno Latour beschreibt das Konzept des Quasi-Objekts weder ein Ding noch ein Subjekt, sondern deren „innige Verschmelzung, in der sich die Spuren beider Komponenten (…) verwischen“ (Latour 2008: 70). Quasi-Objekte sind handlungspotentielle Akteure, die sich mit anderen menschlichen und nicht-menschlichen Wesen zu hybriden Netzwerken verknüpfen. Sie sind dabei nicht statisch einem gesellschaftlichen Feld verhaftet, sondern zirkulieren zwischen verschiedenen symbolischen Ordnungen, suchen stets nach neuen Verbindungen und Anschlüssen. Durch diese Übersetzungen in andere Felder kommt es zu sogenannten „Drifts“ samt inhärenter Bedeutungsverschiebungen. Durch die Latour´sche Brille des Quasi-Objekts lassen sich auch Bernhard Wolfs künstlerische Interventionen in städtischen Übergangszonen besser sehen und verstehen. Es sind nicht reine, abgeschlossen-statische „white cubes“, in denen seine Bilder betrachtet werden wollen. Vielmehr besetzen sie unreine, dynamisch-offene Orte des städtischen Raums, wo Putz bröckelt (Baulücken…), Natur und Zeit die Hauptakteure sind (Abbruchhäuser…) und Kunst nicht notwendigerweise vermutet wird (Plakatwände…). Gleichzeitig scheint es, als würde nicht ein geniales Künstlersubjekt, vermittelt durch die kohärente Bedeutungseinheit eines künstlerischen Objekts zu uns sprechen, sondern die Dinge selbst, verstrickt in vieldimensionale Verbindungen. Das Abbruchhaus mit seinen abblätternden Farbschichten wird ebenso zum gleichberechtigten Akteur der künstlerischen Aussage wie die „natürliche“ Umgebung der Ghettopalmen, die verkehrstechnische Infrastruktur stark befahrener Straßen oder die architektonische Nachbarschaft offizieller Sehenswürdigkeiten. Gerade wegen der emanzipierten Position materieller wie atmosphärischer Raumqualitäten spielt im Zuge des Rezeptionsprozesses auch der Standort der Betrachtung eine integrale Rolle. Nicht nur der Blick auf das Sujet, sondern auch die Perspektive des Sujets auf sein urbanes Umfeld ist Teil des eröffneten Interaktionsraums. Die „ZEIT“ samt flirrenden konzentrischen Kreisen schaut gegen die Einbahn, vorbei an Brache und leerstehendem Lebensmittelladen auf das städtische Entwicklungsgebiet Griesplatz. 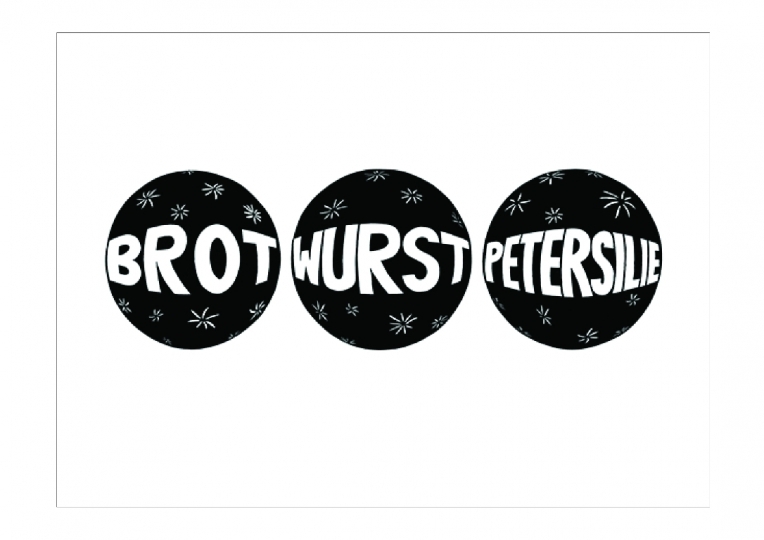 Dort blickt die Installation „Brot, Wurst, Petersilie“ über dem Schaufenster eines ungenutzten Geschäftslokals direkt auf den gegenüberliegenden Atelierraum des Zwischennutzers Bernhard Wolf. Es wird sich zeigen, wie lange noch, denn wer Transcapes gezielt bespielt, würdigt und fördert das Ephemere als konzeptuelles Grundprinzip. Appadurai, Arjun (1996): Modernity at Large. Cultural Dimensions of Globalization. Minneapolis. Belting, Hans: Bildanthropologie. Entwürfe für eine Bildwissenschaft. München 2001. Latour, Bruno (2008 ): Wir sind nie modern gewesen. Versuch einer symmetrischen Anthropologie. Frankfurt/Main.